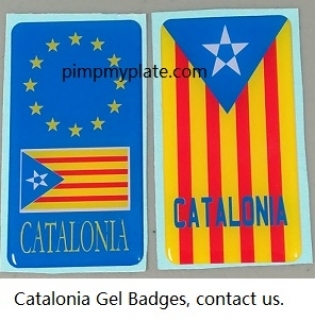 With Gel Plates, available for all types of vehicles. Buy impressive Domed Carbon Plates directly from site. We currently offer the widest choice of designs currently available on the internet, and we intend to keep it that way. We ensure that we only use reliable, industry standard suppliers for our product components. If you want superior quality and guaranteed results, proceed to our plate builder. 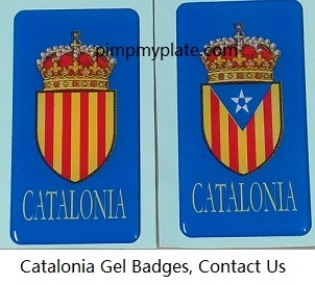 PimpMyPlate is a premium quality showplates manufacturer with the most affordable prices. 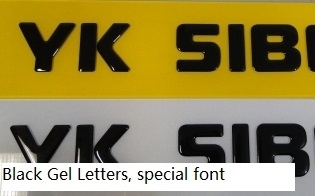 We do take the job of creating an expository display product very seriously, and our number plates fully follow UK vehicle standards of display. 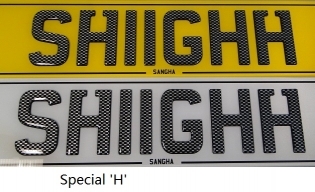 We provide high quality show car number plates - you can order these 3D-domed plates offered by PimpMyPlate directly from the site. 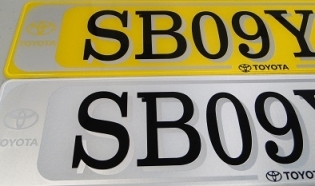 Show Number Plates are available for all types of vehicles. 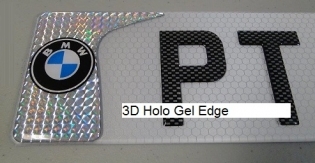 These stunning 3D Gel Plates set the industry standards as the ultimate car styling finishing. 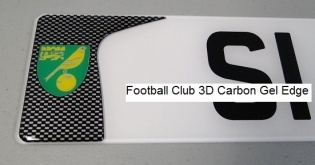 You can view and buy impressive Domed Carbon 3D Gel Plates directly from our site online. 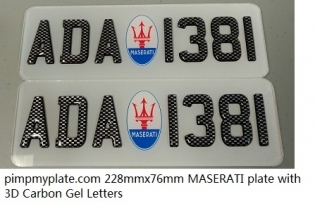 The 3D gel signs of the number plates are one of top quality among other plates in industry. PimpMyPlate is the No.1 manufacturer providing carbon 3D plates with excellent usage properties: strength, hardness, toughness, wear and corrosion resistances. When you search for a strong, rigid, lightweight material, nothing can compete with carbon component. Also, a 3D-carbon fiber gives your show plates an extra touch of style. Our vast inventory, quality supply and convenient delivery makes us an ideal carbon plate supplier with unlimited options. Order today 3D domed show plate - a quality accessory to suit your car, bike, and motorcycles finish. 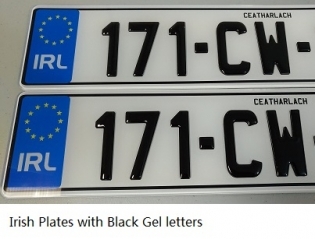 We are proud to provide carbon number plates to different locations around the globe. 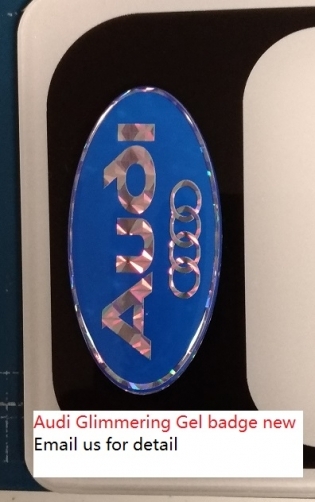 Make your car design come alive with 3D gel plates. 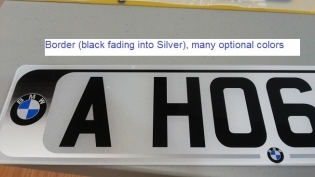 Stand out from the crowd and pick your design from a great range of custom number plates styles for show. 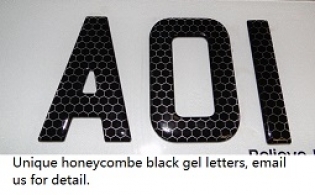 We produce all sizes and types of domed show numberplates, but if you don’t see a desired specification, just give us a call or send an e-mail. We supply a wide range of number plates to a list of countries, where items arrive from 3 to 5 business days via FedEx international priority express. 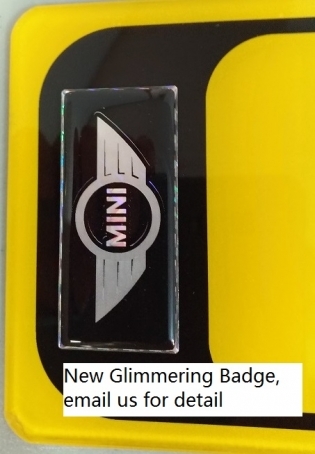 Domed number plates are designed to completely fulfill your requirements and expectations, and are a perfect addition to your vehicle style for car shows and presentations.